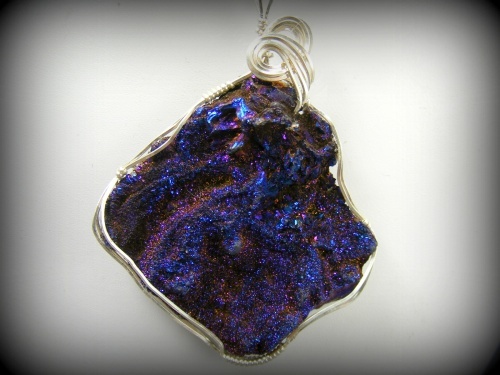 This amazing and dramatic sparkling blue druzy makes such a statement its beyond imagination!! Huge piece for the not so faint at heart! Sparkle is beyond explanation. Measures 2 1/4" from top of bail to bottom of pendant by 2".Comes with a sterling silver snake chain.